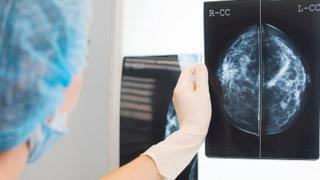 A new breast cancer drug has been approved for use on the NHS in Scotland. Palbociclib, which is taken in tablet form, can halt the spread of the disease in terminal patients for up to two years. The move offers hope to women in advanced stages of breast cancer. The Scottish Medicines Consortium (SMC)'s approval of the drug is being described as a "wonderful decision" and "great news" for sufferers. The drug can increase the amount of time sufferers have before their disease progresses, the SMC said. It was accepted for use by the NHS after going through the SMC's process for medicines used to treat very rare and end-of-life conditions. SMC chairman Dr Alan MacDonald said: "Palbociclib offers patients with advanced breast cancer the potential for valuable additional time with their families and may delay the need for chemotherapy treatment for some patients." Angela Harris, from Breast Cancer Care Scotland, said the decision would provide "equal access" for patients in Scotland for the treatment, which is already available in England. She said: "Now women and men with incurable secondary breast cancer in Scotland will be on a level playing field to those in England in accessing palbociclib. "This exciting treatment, when combined with another breast cancer drug, grants some respite to people living with incurable breast cancer, pausing the growth of this cruel disease for as long as two years. "It is the difference between celebrating another Christmas with loved ones, taking a once-in-the lifetime trip or being there for your child's next birthday." Ms Harris added: "Access to the best treatments for all women and men living with incurable breast cancer should be the cornerstone of good care. We hope today's announcement is a sign we are moving in the right direction. "And we hold out for positive news on another promising drug, ribociclib, in the new year to help ensure everyone can live as well for as long as possible with incurable breast cancer." What is palbociclib and what does it do? Palbociclib works by disabling two key mechanisms that allow a tumour to grow. Data presented at the world's biggest cancer conference showed that time without a tumour progressing increased from 15 months to 25 months with palbociclib. Most women with breast cancer have tumours that are fuelled by oestrogen. So after treatment, women often take drugs to block the hormone and stop the cancer coming back. But sometimes this preventative measure fails and the tumours that come back are difficult to treat. Gregor McNie, Cancer Research UK's head of external affairs in Scotland, also welcomed the decision. He said: "It's great news that SMC and the drug company have worked together to make palbociclib routinely available to some breast cancer patients in Scotland, where it is the most common form of the disease among women. "Cancer Research UK scientists played a leading role in the development of palbociclib, a type of chemotherapy that targets and blocks the proteins that help cancer cells to grow. "The drug will now offer new hope to some women in Scotland with advanced disease or breast cancer that has spread." The charity Breast Cancer Now said it was "delighted" with the news but called for more to be done to make other drugs available. Its Scotland manager Lawrence Cowan said: "There is still much more to do to ensure that the life-changing treatments available in England are unlocked for women in Scotland too. "For example, Perjeta has been available in England for over four years but it is still not routinely available to women with secondary breast cancer in Scotland. "Everything must be done to make sure the best breast cancer drugs are made available to Scottish women at a price the NHS can afford."